When Fidel Castro came into power in the 1960s, hundreds of thousands of Cubans abandoned their homeland and wound up in Miami - while they settled all over Little Havana / Calle Ocho, a mile west of Miami's downtown financial district, has the highest concentration of Cuban culture and influence. This neighborhood stretches for several miles, however, there's a concentration of Cuban cultural attractions around the Maximo Gomez Park. 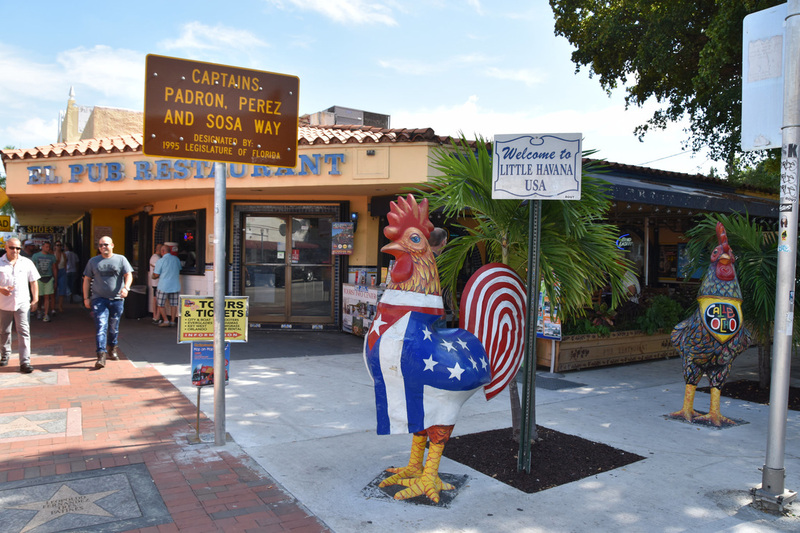 The more local experiences, with Cubans out and about, is further west along Calle Ocho. 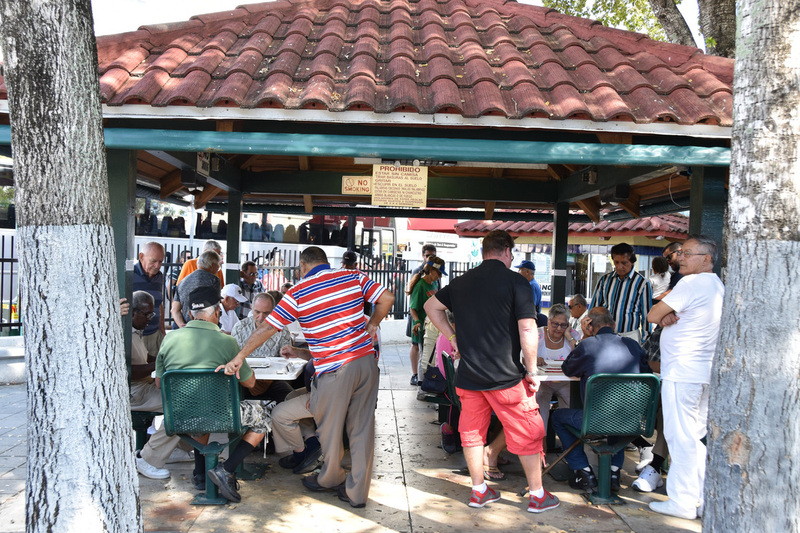 The epicenter of Little Havana is Maximo Gomez Park, aka Domino Park [Be careful: if you put Domino Park into Google Maps it provides a different park]. Domino Park gets its nickname from the retirees who show up daily to play dominoes and chess. If the visit is timed right, watching the seniors play dominoes is an authentic experience. If the timing coincides when a tour bus of cruise goers arrives it feels more like watching animals at the zoo. Calle Ocho felt a bit tired and worn out. For better or worse the neighborhood doesn't seemed to have change much since the Cubans first arrived 50 years ago. I think a better experience is to head further west along Calle Ocho to El Palacio de Los Jugos, a market, juice bar, sandwich shops, Cuban food combination store. There's several vendors to order food from and an open air dining area. This spot seemed to be more reflective of the Cuban community today than Calle Ocho. The parking area was jammed with people grabbing a quick lunch before returning to work. El Palacio de Los Jugos has several locations beyond the Calle Ocho / Little Havana area.